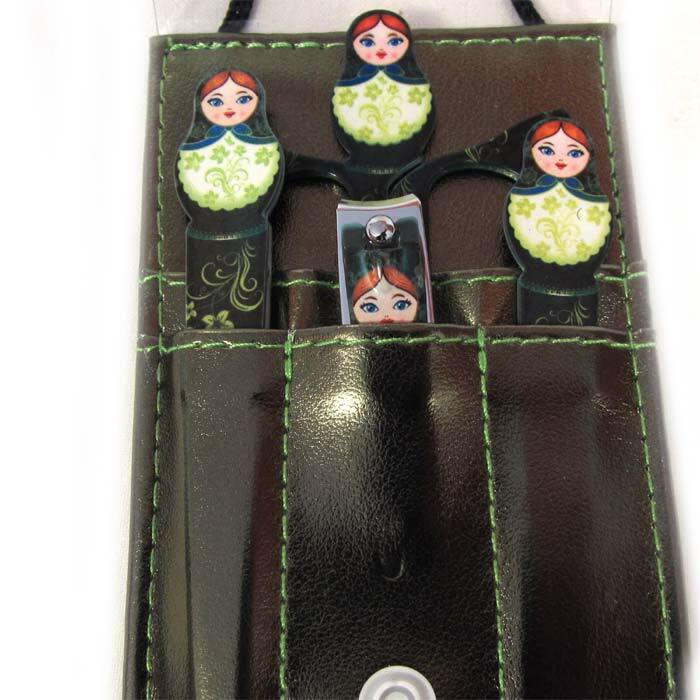 Manicure Set Matryoshka is an original manicure set decorate in matryoshka style. 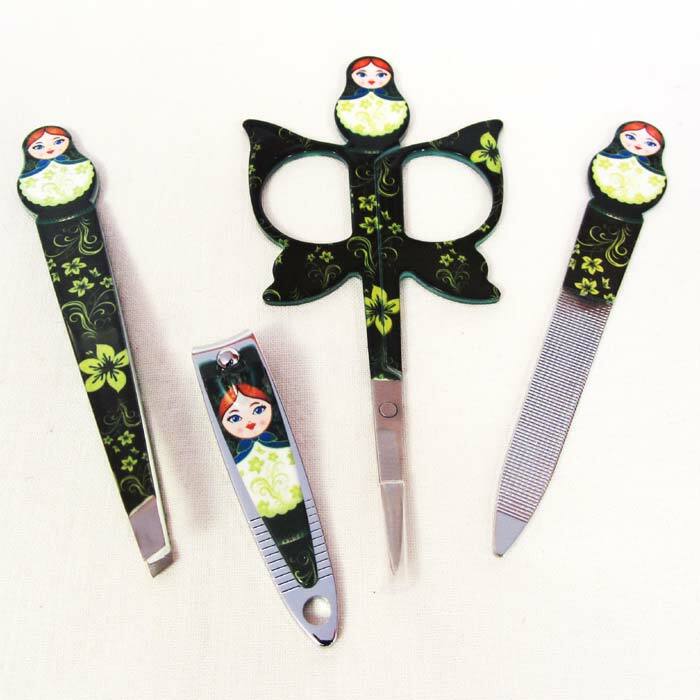 It consists of 4 pieces - the manicure scissors, special nail clippers, good metal file and small pincers. 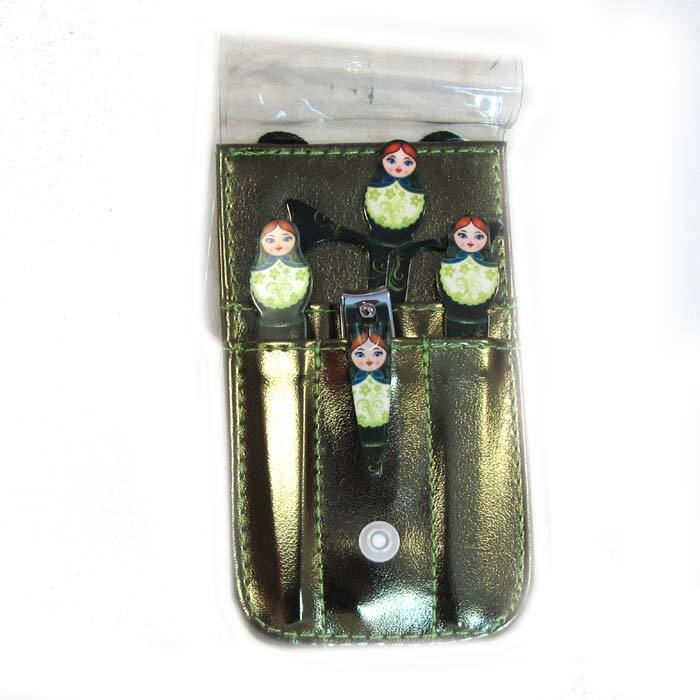 The tools are hold in the plastic case that suits by color.